I love having a go at learning new languages. Unfortunately for me, however much I try, I’m never going to be a polyglot. I’ve always wanted to be like my Dutch friend who effortlessly switches between Dutch, English, French, German and Cantonese as if being fluent in several languages is totally normal. I study, ok maybe I don’t immerse myself in a language as much as I should but I, at least attend lessons pretty often. However, I love to travel, and it seems like every time I return from a trip that tiny bit of my brain that stores the Portuguese language falls out on the plane and I need to start all over again. After my one-week intensive Portuguese language course, and feeling more confident, I tried speaking Portuguese to everyone, but alas, most locals replied in English. Umm, that doesn’t help, guys!!! But then, I went to Argentina for five weeks. At first, the Portuguese helped – I just removed the weird -osh sounds at the end of the word, and changed the oo sound to an o and I could sort of make myself understood in Argentina. And then I returned to Portugal! ‘Bom dia!’ greeted my neighbour. ‘Buenos Dias!’ I replied. I thanked people with a ‘gracias’ not an ‘obrigada.’ I began to avoid eye contact with the villagers so as not to engage in further conversation. What had happened to my Portuguese? This was bad; I needed help. It was time to return to Lusa Language School for another intensive short course. So, once again, I started the daily commute from my home on the Silver Coast to join the Monday to Friday 9am-1pm intensive class at their school. The school is in a great location, just a short walk from Cais do Sodré Station, at the edge of trendy Pink Street and very close to the Time Out Market – a great place to treat yourself to a pastel de nata after class! My first day of class renewed my fears. Yes, the Portuguese section of my brain had shrunk into oblivion. Really? Two years of study lost in one month! I blame the Malbec! We started the class with some revision exercises, reviewing basic grammar – I wanted to cry, although I know I have studied these points many times in the past, I couldn’t remember my das, dos from my nas, nos. And why was a chair feminine but a sofa masculine? ‘Prática, prática,prática!’ said Paula, our very patient teacher, to us students several times a class. This became my mantra for the week. Practice, practice, practice, I can and will do this. As the week progressed, my confidence increased. I understood everything, well nearly everything, the grammar was falling into place, and I could again string a sentence together. Not necessarily a perfectly strung sentence, but enough to make myself understood and that’s all that matters really. The following week, when I met my local teacher over coffee and cake, she smiled and suggested in future, I do an intensive Portuguese language course after every trip away as it made her life teaching me so much easier. I think that was a compliment. For anyone thinking of spending some time in Portugal, I highly recommend taking an intensive course in the Portuguese language, and Lusa Language School is a great place to study. Portuguese, well for me, is not an easy language, and I don’t care what people say, it still sounds very Slavic to me. 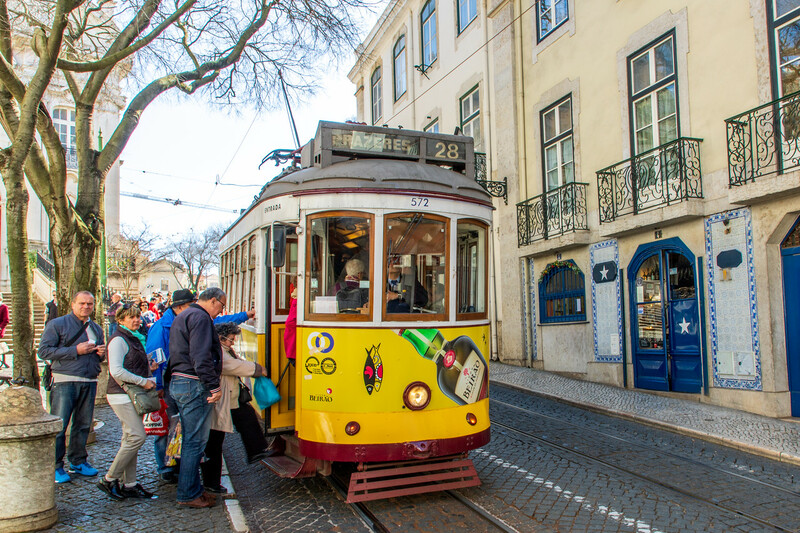 Yes, many people in Portugal and, in particular, Lisbon do speak fantastic English, but there will be many situations where you will need to speak Portuguese, and if you plan to work, live or retire here, you really should try and make an effort to learn. For more details on taking Portuguese courses, prices, etc., head over to the school’s website https://www.lusaschool.com. Disclaimer: Although I was a guest of Lusa Language school, all opinions are my own.